Having a classroom full of students who are engaged in self-directed authentic reading activity is a favorite dream of teachers the world over. Now you can make that dream a reality. Like us on Facebook to get the following 6 tools for free. When you click the “like” button in the blue box below, you’ll be able to download the tools right away. Get all of these tools for FREE when you click the “Like” Button below. It’s a fact of life, kids can be forgetful. Why not use give them something to help them remember what they should be doing during independent reading? Print the friendly reading comprehension strategy bookmarks and leave them in your classroom library, or give them to students as a reward once you see them using the strategy effectively during whole group or small group instruction. We have yet to meet a 6, an 8, or a 10 year old who doesn’t have an opinion. Now you can give them a way to voice their opinions about the books that they read. Put the book review templates in your classroom library or create a “Student Review” binder to store blank templates and completed reviews. Students can tell their friends about the books that they enjoyed and the reasons why they would have left others on the shelf. Turn chatter into a reading opportunity with the interactive game board and a set of dice. When you challenge students to recall specific information from the books that they read, you’ll encourage them to practice reading comprehension strategies and practice talking about the work they’ve done while reading. Give each of your students the scavenger hunt to encourage them to read a wide variety of books. Too often students get “stuck” reading from one or two book bins. Increase exposure to multiple genres and authors by challenging them with this independent activity they they can keep in their reader’s notebook or book bin. There’s nothing like hearing the sound of your own voice. It makes most of us adults cringe, but kids get a kick out of it! Use the step-by-step instructions to make fluency phones. Your students will be begging for a chance to practice reading out loud. Letter writing is quickly becoming a lost art. Encourage your students to keep the tradition of writing fan mail going with the friendly list of addresses for popular authors. Even if the cost of stamp seems to change as often as the weather, you can be sure that the feeling your students get when they send fan mail to their favorite authors will be a memory that lasts forever. We’d love to hear from you. Tell us how you’ve used these tools in your classroom. Which are your students’ favorite? Are Workbooks Helping or Hurting Your Students? Workbooks are mass produced for the masses. They are a one size fits all approach to mastering fundamental skills. Workbooks teach children that reading is about reading a passage and answering questions. Workbooks do not teach children about the many purposes of reading, how to enjoy reading or how to comprehend and read with fluency. If one of your students is struggling to read, or struggles with comprehension, it is not because he or she is unable to be a successful reader, it is because the child has not been taught to read in a way that makes sense to them. When you give a child a workbook expecting them to practice reading and become a better reader, you are setting them up for failure. Workbooks don’t work because they don’t teach your students how to think and problem solve on the run. Instead workbooks provide your students with cookie cutter rote practice. Therefore, if your students are working through a workbook using weak strategies or making the same mistakes over and over, they are only practicing making mistakes. Your students will not become better readers if they don’t learn how to read in a way that builds comprehension, fluency and enjoyment. They will learn to hate reading because repetitive practice is boring. Additionally, if they practice every day with a workbook but do not become a better reader, then your students will begin to see themselves as a failure. When you teach young readers how to use reading comprehension strategies, you are giving them the tools necessary to fully comprehend and enjoy what they read. Wondering how to turn a class room full of strangers into a community of learners? Try reading back to school themed books aloud to your students. Whether you teach kindergarten or tenth grade, reading books aloud is one of the best ways to break the ice during the first days of school. This is an irresistible choice that will bring comic relief to the most weary of readers. First Day Jitters is the story of Sarah Jane Hartwell, a girl who does not want to go to her first day of school. She, like most students, is worried that she won’t know anyone. As she drives to school, her hands are clammy, and she is short of breath. She has a terrible case of the First Day Jitters. It is not until the end of the book that the girl’s identify is revealed. Sarah Jane is actually a brand new teacher! Readers will delight in the surprise ending as they realize teachers get first day jitters too! When you combine this book with reading comprehension lesson plans for First Day Jitters that support that support the use of reading comprehension strategies, you can teach your students to enjoy books and better comprehend while reading. Chrysanthemum is another good back to school book pick. Before going to school, Chrysanthemum thought her name was the most wonderful name in the world. She loved the way it looked when it was written with ink on an envelope, she loved the way it looked when it was written with icing on a birthday cake and she loved the way it looked when she wrote it herself using a fat orange crayon. In summary, Chrysanthemum thought her name was absolutely perfect. Then she started school where jealous bullies made her feel badly about her name and about herself. Chrysanthemum’s experience with her first few days of school will remind readers how important it is to treat one another with respect. Chrysanthemum will find a way into your students’ hearts and quickly become a favorite among your back to school books. When you choose books like First Day Jitters and Chrysanthemum you provide students with a common experience. That common experience is something that you can return to time and time again as the school year progresses. Running records are an excellent assessment tool for determining student reading levels. Running records work well because they allow teachers to observe a student’s reading behaviors in real time. Running records require students to orally read 100 words from a specific text. It is best if the text is semi – familiar to the student, meaning they have either read the text or have had the text read aloud to them. As a result or using a familiar text and a running record, teachers are able to make to make instructional decisions on the spot in order to deliver highly targeted instruction. 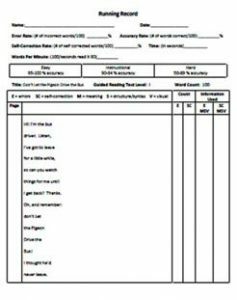 Running records will provide you with a snapshot of a student’s ability to comprehend a text as well as their level of oral reading fluency. When readers engage with text, they employ three cuing systems to make meaning of the text. Through observing a child’s use of these systems, teachers can determine what type of instruction is needed in order to differentiate your instruction. In short, running records will give you a very clear picture of your students as readers and help you effectively support the reading development of all your students. 1. Meaning – Does it make sense? If readers are able to decode words and read fluently with intonation, chances are they are using meaning cues. A reader cannot use voice inflection if they are not comprehending the text. In other words, in order for a reader to change his or voice in a way that reflects what is happening in the story, they must attend to the illustrations, and the sequence of events or character description to know whether or not it is appropriate to read the words quickly, slowly, or with inflections. If a student reads in monotone, it may be a sign that he or she is not making meaning while reading. As a result, you may want to provide that child with reading comprehension support. 2. Structure – Does it sound right? If readers are able to decode words with high levels of accuracy and read fluently, chances are they have a secure understanding of how our language works. When children make mistakes while reading, they tend to do one of two things. They either blow right past the mistake and continue reading or they go back and try the word again. When readers fail to notice their mistakes, they are exhibiting a failure to make meaning and understand structure. When children notice their mistakes and try to fix them, they exhibit their ability to attend to the meaning of the text. In other words. if a child does not know they have made a mistake while reading, they are not comprehending what they are reading and need support in both meaning and structure. But, if a child goes back and tries words again, chances are they will benefit from support that builds vocabulary, phonetic awareness. 3. Visual – Does it look right? Again, if readers are able to decode words with high levels of accuracy and read fluently, chances are they have a secure understanding of how our language works and what it looks like when printed on a page. If readers make mistakes while reading, and are unable to self correct their mistakes, chances are they need additional support making connections between new words and words they already know in order to improve oral reading fluency and accuracy. If readers are unable to determine whether or not the words they say when reading look right, you might try providing them with additional phonics and word study support. ReadingComprehensionLessons.com offers running record assessments for all of the books in the lesson plan library. Become a member and gain instant access to these valuable assessment tools for free. Need a Boost to Reading Comprehension Activities in Your Classroom? If your goal is to improve reading comprehension activities in your classroom, then you must engage your students in activities that will boost their ability to comprehend texts. The first step to improving comprehension in your classroom is to provide students with a variety of engaging books that are properly leveled and appeal to a wide range of student interests. When planning reading comprehension activities, consider including students when building your classroom library. Invite them to bring books from home and give book talks about the reasons why they enjoy the book. Take a trip to the school library. Ask each student to choose one book that they would like to share with a friend in the classroom. Upon returning to the classroom, provide them with an opportunity to write a letter to the person they selected the book for. Tell them to include the book title, their favorite part and the reasons why they selected the book for their friend. 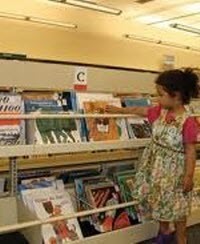 You might also develop reading comprehension activities based on identifying a book’s genre or theme. For example, begin by studying several genres. You might choose genres that align with your district’s curriculum or books that might serve as mentor texts for your writing units of study. Then divide students into teams. Provide them with a basket of books. Challenge them to identity the genre of each book. The team that is able to identify the most genres correctly wins. It is also important to provide readers with independent reading comprehension activities. One way to do this is to invite readers to write about their reading. Give each student in your classroom a reader’s notebook. Invite them to decorate their notebook with covers of favorite books or author’s names. Then teach students how to respond to books and other texts in a variety of ways. For example, visualizing is one of the simple reading comprehension activities. Allow students to choose a page from one of the books they are reading. Provide them with a blank piece of paper and encourage them to draw a picture of the mental images they made while reading the text. Next invite students to label their drawings using specific words for the text to explicitly connect the text to their mental image. As a final idea for reading comprehension activities, consider finding younger book buddies for your students. Pair with a teacher in your building. Allow your students to read easier books to younger readers. Encourage them to retell the book with the younger students – identifying the main characters, the main events, the problem, solution and the author’s message. 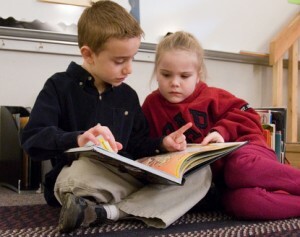 As an added bonus, your students will build fluency and confidence through reading easier texts to their book buddies.